The first Ninja Warrior workshop in America was done at Apex Movement in Colorado. The event was lead by Ninja Warrior Legend Levi Meeuwenberg. Inspired by the workshops done by Levi at Apex came the Movement Lab hosted the very first ever Pro training event featuring multiple of the top finishing Ninja Warriors in the country. The event was run by Chris and Brian Wilczewski and featured athletes: David Campbelle, Drew Dreschel, Ryan Stratis, Brian Orosco, Brandon Douglas, James McGrath and Jake Smith. Now Ninja Gyms across the Nation have followed in the footsteps of Apex and Movement Lab by hosting their own Pro training events. From Coast to Coast its hard to find a gym not hosting large training events featuring the top athletes from around the country. Events are a great way to test skills and readiness for Ninja Warrior. However, recently weekend leagues have been starting up around the country. Much like competitions and workshops the league focuses on running a course and dealing with the pressure of one shot opportunities. 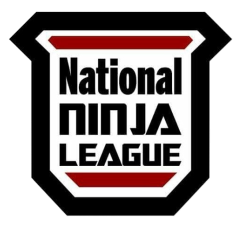 The first league appeared prior to ANW 6 at the Movement Lab and has now been adopted by Apex Movement North Cal. It is likely other facilities will follow suit to give competitions weekly opportunities to test their abilities.